All textures in the preview image are from this pack. Approx. 150 textures at 512x res, with normal/parallax maps and an incomplete set of untested spec maps. Originally made for quake2world. Under an MIT/X11 license. Feel free to use/modify these as you see fit. You do _not_ need to ask me for permission in order to use them. Well, they look really nice. I don't believe the engine will accept targa so they may need to be converted to jpg(?? they are very in size large anyway). Also, aside from the naming and .cfg that will be needed, the normal maps appear to be transparent? I have a feeling that this wouldn't work so well. If it was a less complicated issue, I might convert everything myself. The normalmaps look transparent because the heightmaps are saved in the alpha channel of the normalmaps. If you convert them to jpg, the alpha channel will be deleted and they will look like regular tangent-space normalmaps. To extract the heightmaps from the normalmap(does cube even use heightmaps? ), just open them up in a decent image editor(gimp/photoshop) and cut out the alpha channel. I'll try finding some info on how to get this pack fully compatible with sauer and maybe update it later this week. But if you're willing to do it that would be greatly appreciated :) In fact, it might be better, because I'm definitly not interested in messing with writing up cfg's and such. They look beautiful. I am downloading them right away. It reminds me of Doom 3. I don't usually say this, I only do because I saw the screenshot, but may I include these textures in the next Newcube release? Absolutely. Just make sure you comply with the license terms in the readme. They are completely free for any use whatsoever as long as the copyright notice is included. I put the readme in with your files. Also, I added a texture cfg for my mod, but in doing so I had to convert all the files to Jpeg, and as I'm not using normalmaps I didn't include the normalmap files. If you want, I'll send it to you anyway. Please note it is suited to my mod however, you will have to change some stuff. They look really awesome. They are so Doomish. I hope Eihrul will add it to SVN. Anyway, I didn't know what to do with some parts of the .cfg and I just left the specular maps commented out. I probably messed up somewhere too. I didn't change the .txt file either, so you might want to. You can't use jpegs for everything. As he stated, he used the alpha channel, so the normal maps have to be PNG, not JPG. I thought that the heightmaps had to be in a seperate file? The heightmaps can either be in the alpha channel of the normal map, or they can be in a separate file. If you put them in a separate file, all the engine does is put them in the alpha channel of the normal map at load time. This must in the new release please give sauerbraten some new textures. Okay, I have updated the pack. The normal maps are now .png's and any textures that have their respective specular now make use of them. I also removed normal maps that were exactly the same for simple variations of color, which saves some space. So, the only thing it could use right now is specular maps for all of the textures. I just love these textures, i hope they'll be included to the official package, 5/5. May I use some of these textures in some of my Unreal Tournament maps? Your name and a link would be included in the readmes''s and you would have all credit for textures. TRaK has apparently licensed this under the MIT license, so you can use it under those terms (the text of the license). I made a test map earlier today with these textures, and it looks amazing, they would be great for a Doom style map. but is it possible for me to drop the specularity a little somehow? as the textures will get bleached right out when you look directly where its reflecting. You'd probably need to make some specular maps for them. I made a few, but the game I'm using them for doesn't use specular maps, so I didn't bother making a complete set. Also, depending on the game you're mapping for, it might be possible to change the general specularity of the texture with materials/shaders/configs. I put these into a map, its amazing, Doom 3 style. Just curious, what app/apps do you use to create your textures? 3dsmax to generate the bump/normal maps (baked from hi-res models). Then I paint the diffuse textures in photoshop. However, it is not Sauerbraten. I wipped up a map when i got them to see what they could do, kinda doom style, i can upload if anybody would like. Sure, add it as an attachment to this node if you like. We all love content and it'd be a good demo for people interested in testing out the texture set. Too few artists "whip-up" useful things like this, and I commend you for having a decent screenshot. I know this is a noobie question, but how do you make these appear in your texture browser? Download the textures, place the trak5 folder in your package folder. If you wish the textures to be there for a custom map, add that line to the map config. the textures are really nice and i think they should be used more often by mappers, and this should be included in the next release. sure they should, but thwere is this tiny problem of having a preset of textures in the texture menu. if that menu is improved in the next release so you can browse categorised textures based on folder paths then not only would this pack be included, but that would make it easier for everyone to add his own packs of textures. live map content downloading is what sauerbraten needs. not only in coop mode! yes you're right definitiv. It's a known standart. Also there should be more than 3 models. For example there exists a very nice halo-style model, I like it but I want it as an additon(!) to the other 3 not as a replacement ! @fischkopf: What did you dislike at the qarena_dm17 map -it took use of this texture pack, as you suggested above. You wrote no comment and it was the only low rating about the map therefor I'm asking. please add this to svn. its just 11 mb of more texutres. it IS in the svn. check your sources better. I'm talking about sauerbraten, and it's not in it! he was mistaken, calm down. :D got included ! 2 new textures pages :D.
It happened after you said it. texture browser looks now messed up. ._. In list view on the left side of the screen would be package names, and possibly the theme of the contents in brackets. You would select a package from the list on the side, and the rest of the screen on the right would show the textures in a window where you could scroll up and down the list. Separating packages by tabs would be easy, but I don't know about displaying arbitrary images or setting textures in Cubescript. The names on the left are author names, which when clicked will highlight the name in a different color and show the textures this person has made. the amount of extra tabs will change depending on the amount of textures of the selected author. How do I apply this to justice??? I think this is really cool. This content is now included in the official release of the game, you do not need to download it if you already have the latest release. They certainly add some more variation to the original light-textures of the Trak5 textureset. Sauerbraten isn't caring that much about licenses (especially not for own use as it is for your own use anyway) as the content included within Sauerbraten is ZLIB-licensed, unless specified with another license. So things like GPL version 2 (or version 3) won't work (as it demands anything else of the project have the same or very similar restrictions), but most of the other licenses do work. Too bad you're original account has been lost through an event which occurred lately. Thanks, also, "I'm back, baby!" I'm sorry to say that, but your textures are a little bit old, and have started to wither over the years. 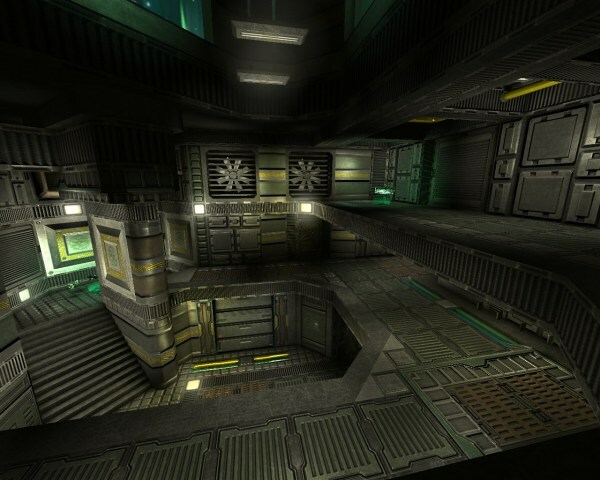 They are still very nice textures, but some of them are quite low-res, so I re-made two of your light textures http://forums.xonotic.org/showthread.php?tid=5662. I just wanted to know if everything license-wise was in order on that post.